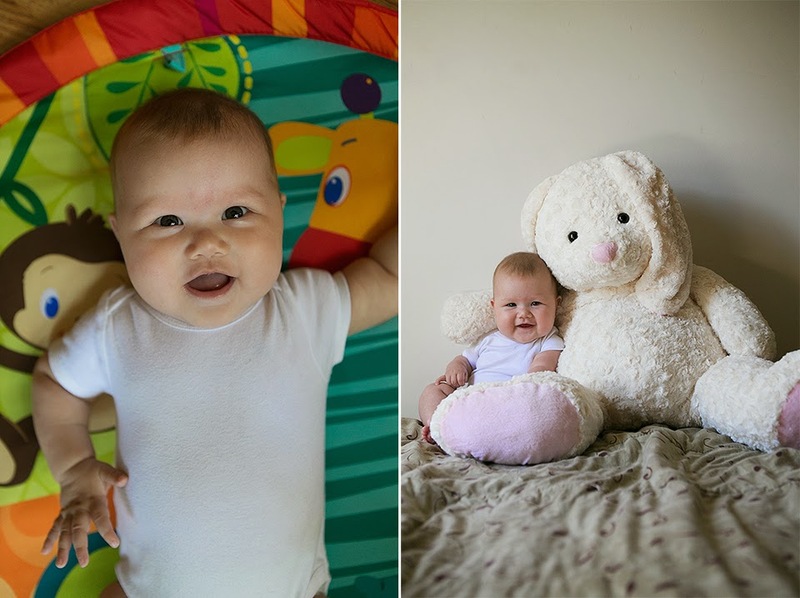 Amelia turns four months old today! She is one super happy baby. She flashes her beautiful smile at everyone and even belly laughs when she is really happy. And she is so, so squishy! You bet I kiss and nom nom those cheeks all day, every day. When we visited Hubby for Mother's Day weekend in Virginia, we all went to the hotel pool and I dipped Amelia's feet in the non-heated water. She hated it! She definitely likes her bath water very warm just like her Daddy and big brother. Amelia also did amazing during our 13.5 hour drive from North Carolina to Indiana. She was a bit distracted during our nursing sessions because she is so aware and curious of the world now that she wants to look at everything she hears. And because of this, she is also beginning to reject the nursing cover. It blocks her view and gets hot under it since it is almost summer. I had a wedding to photograph the last weekend of May so Amelia also started eating from the bottle. And unlike her Kuya, she did not have any issues other than the initial rejection for the first few tries. She also fell asleep and went to bed without very much trouble with Lola. She still wakes up at least twice during the night to eat but almost always never have any issue going back to sleep. Read One Month Old entry here. Read Two Months Old entry here. Read Three Months Old entry here.